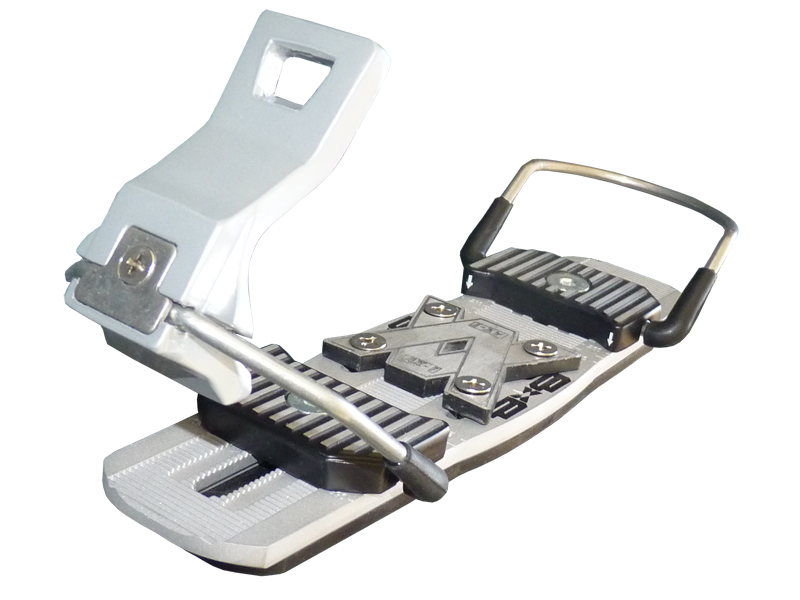 Solid-metal binding consists of a strong cast alloy plates, two moving parts with steel handles for shoe and a 4 x 4 parts for attachment to the skiboard. 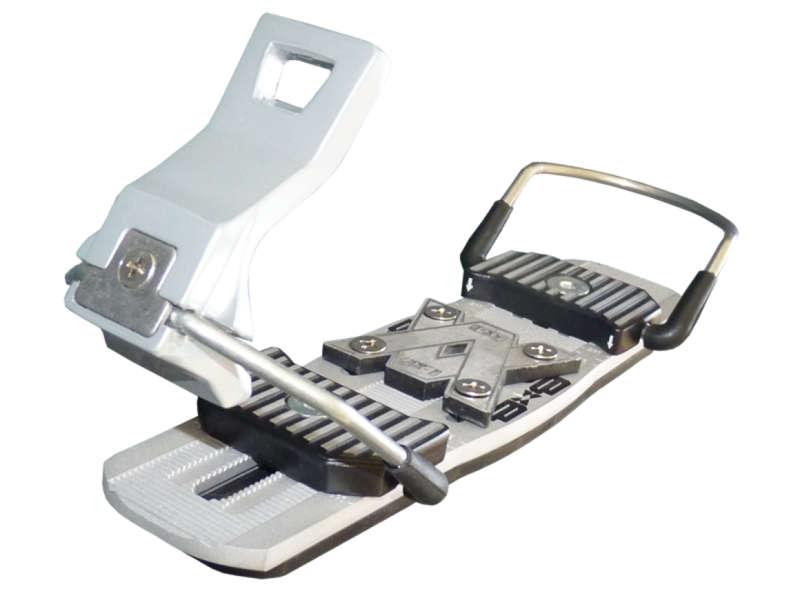 AX-I has been tested by many experienced riders as a very solid and reliable binding that delivers maximum energy from shoes to skiboard. An additional advantage is the possibility of fine adjustment to fit shoes, which allows the size range from 4-13 U.S.. Part of the binding is also a rubber pad that absorbs shocks to the foot towards the rider. The quality of ingested material and workmanship of the binding guarantees long life and maximum comfort in use. The binding includes 8 screws and Allen 5 mm.